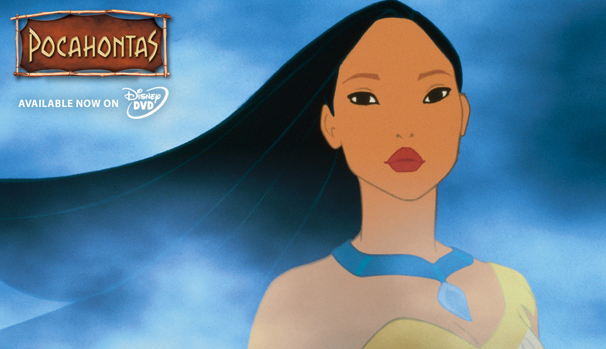 18 years ago today was the opening night of Pocahontas. It was premiered on 10 June 1995 on the great lawn in Central Park, projected onto four huge screens, each one 92 feet high. I wasn't there for the Premiere, but I did get to work on the picture itself, which I remember as a huge privilege, temporary membership of one of the world's most exclusive clubs - the Disney animator. I was a student in London at the time, so for me Pocahontas was just a summer job - but while my friends were flipping burgers or waiting tables I got to go to LA. Did I know how lucky I was? Hell, yes. It was a huge opportunity - a wonderful chance to work on a picture that, coming off of the insane half-a-billion-dollar success of Lion King, had huge expectations. Oddly, what is not generally remembered now is that Lion King was, at the time, very much the poor relation of Pocahontas. Glen Keane led the animation team that everyone at the studio wanted to work on. Talking animals? - so last decade. Pocahontas was where it was at - a semi-realistic and artistically challenging piece of authentic Americana. All the animators had to go to regular life-drawings classes just to try to keep up with Glen's dynamic versatility as a draughtsman. "You're just a part-timer", one of the animators told me during a life-drawing class. "We're the professionals". As for me, I was lucky enough to score a position on Duncan Marjoribanks' animation team, working on Governor Ratcliffe, much easier to draw than Pocahontas herself and more much forgiving for junior animators like me. Duncan was the perfect animation lead - giving us all very clear direction and kindly going over my drawings to keep my work "on model". Working in CG nowadays, we tend to forget now how much effort was spent on a 2D film just making sure that everyone drew the same way - or at least mostly the same way. This was a massive burden for a 2D lead - quality control of the draughtsmanship of a whole team of juniors. Every key pose needed to feel as if it flowed from the same hand. The biggest moment of excitement on the film was when Jeffrey Katzenberg announced he was leaving the company. All summer long there had been rumours about his future - and now he was leaving. He called everyone on the team for an outdoor meeting and announced his departure. "You are Camelot" he said to the animation team - and he meant it. Soon afterwards he announced he was leaving to found DreamWorks; the studio would be built just a couple of blocks down the road, on Flower St in Glendale. At the end of the summer I went back to school in London, and I got asked by a local TV channel to appear on the red sofa and chat about what it had been like to work on the film. Of course I said yes - until I froze with horror when the host of the show produced a pad of paper and a magic marker and insisted that I draw Governor Ratcliffe live on camera. I totally froze up in panic and produced what must have been the most feeble drawing I had done since leaving school. That was pretty much the end of the interview, as I got bundled out the back door. Looking at Pocahontas now, it is hard to recall what a sense of excitement surrounded the project. Lion King is the one that still holds up today, still entertains after two decades and stands up to any contemporary animated film. Pocahontas has stunning animation but today it feels somehow rather dated, an animated Broadway musical that could just as well have been shot in live action. And the box office takings were huge - but not nearly as big as Lion King. 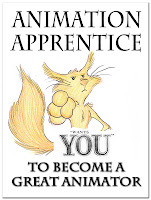 With hindsight, that was the start of the slow decline in the fortunes of 2D animation at Disney. Though it would be many years before the studio gave up the battle.